Yosef Saragossi (1460-1507) was born to a religious Sephardic family, either in Saragossa, Spain, or in Syracuse, Sicily. He became a respected rabbi at a young age. Around the time of the Spanish Expulsion of 1492, Rav Saragossi settled in Tzfat. He discovered a tiny community of just 300 poorly-educated Jews, with not a single rabbi among them. Rav Saragossi revived the three synagogues in the city and founded new schools, reinvigorating Jewish life. His yeshiva soon attracted students from far and wide. Within a century, Tzfat was a major centre of Jewish learning, and the capital of Jewish mysticism. There, Rabbi Yosef Karo would produce the Shulkhan Aruch, still the central code of Jewish law, and there the Arizal (Rabbi Isaac Luria) revealed his Kabbalistic system, forever revolutionizing Judaism. 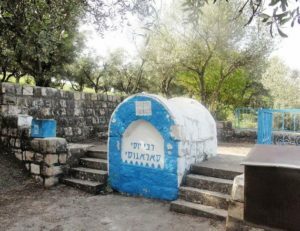 Rav Saragossi was beloved not only by Tzfat’s Jews, but by its Muslim residents, too. In fact, the Muslim governor at the time paid two-thirds of Rav Yosef’s salary just to keep him from leaving. Rav Saragossi’s tomb remains an important pilgrimage site, and is known as a place of miracles. Because of one such miracle involving 500 white hens, he has been called Tzadik haLavan, “the White Saint”. One of Rav Saragossi’s foremost students was David ben Shlomo ibn Abi Zimra (c. 1479-1589). He, too, was born in Spain, and was exiled around the time of his bar mitzvah. His family settled in Tzfat, and the young David studied in Rav Saragossi’s yeshiva. Becoming a renowned rabbi of his own (later known by his initials, Radbaz, as is common among Jewish sages), he moved to Egypt and became a member of its beit din, the Jewish court. He would soon be appointed Hakham Bashi, Egypt’s chief rabbi. Meanwhile, the Radbaz made some good investments, and became exceedingly wealthy. He built a new yeshiva in Cairo, and it was there that a young Isaac Luria, the Arizal, would get his start. After serving as Chief Rabbi for nearly forty years, writing a number of important books, and penning over 3000 responsa, the Radbaz retired at age 90. He left most of his wealth for the poor, then returned to the Holy Land. Although he wished to settle in Jerusalem, the Ottomans made it difficult for Jews to live there, so the Radbaz returned to Tzfat. He was immediately placed on the highest beit din, alongside Rav Yosef Karo. The Radbaz merited to live many more years, inspiring a new generation of rabbis, including the great Rabbi Chaim Vital. He was over 100 years old when he passed away. This entry was posted in Religious Leaders and tagged Arizal, Beit Din, Cairo, Egypt, Hakham Bashi, Kabbalah, Ottoman Empire, Rabbi, Safed, Sephardic Chief Rabbi, Sephardic Jews, Spanish Expulsion, Spanish Jews, Tzfat on October 24, 2018 by Jew of the Week. Moshe ben Maimon (1135-1204), known in the Jewish world as the Rambam (his initials) and to the rest of the world as Moses Maimonides, was born in Cordoba, Spain, the son of a famed rabbi. In 1148, the Almohads conquered Cordoba and began persecuting the Jews. Maimonides’ family fled and remained on the move across Spain for 10 years before settling in Morocco. There, Maimonides studied at the University of al-Karaouine, focusing on the field of medicine. At the same time, he composed his famous commentary on the Mishnah – the central text of Jewish oral laws. Along with his two sons, he then traveled to the Holy Land, despite the danger of the ongoing Crusades. After visiting the holy sites and praying at the Temple Mount, he journeyed to Egypt and settled there, continuing his work and studies at the local yeshiva. During this time, he played a central role in saving a community of Jews taken captive by King Amalric I. 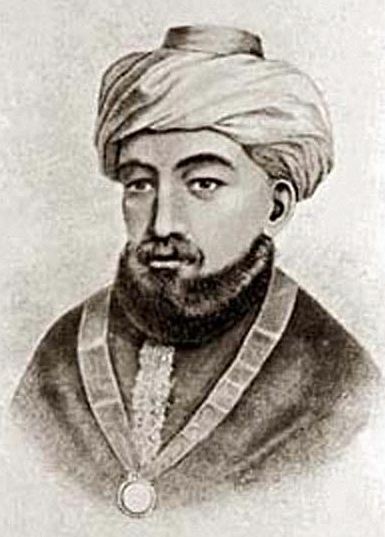 In 1171, Maimonides was appointed president of the Egyptian Jewish community. When his brother’s merchant ship sank in the Indian Ocean, Maimonides lost all of his wealth and started working as a physician. Having studied both Greek and Arabic medicine, and being well-versed in folk healing and mysticism, Maimonides quickly became the top doctor in the world and was soon hired by the legendary Sultan Saladin. Even after Saladin’s death, Maimonides remained the royal family’s physician, and rejected offers by a handful of European kings. He wrote a number of healing manuals that were influential for many future generations (and still studied today). He also composed several religious and philosophical works, including the famous Guide for the Perplexed and Treatise on Logic. His Mishneh Torah remains one of the central compilations of Jewish law to this day. He also set forth Judaism’s 13 Principles of Faith. Scholars are puzzled at how he was able to accomplish so much: his typical day included a visit to the Sultan’s Palace before returning home to a long line of patients that lasted into the night. He would rarely take any breaks, and ended his day hungry and spent. Even on Shabbat he had little rest, dealing with life-or-death situations that trumped the sanctity of observing the Sabbath. Many believe that he passed away because of this difficult lifestyle. Maimonides writes that he wished he had more time to pray, study, and grow closer to God, but his obligation to care for the masses superseded all these. He passed away on December 12th (809 years tomorrow) to great sorrow, and true to his nature, had demanded the humblest of funerals. He remains highly respected in Spain and across the Middle East, the Arab world (as Abu Musa bin Maymun) and the medical community. Countless institutions continue to bear his name, and he is a central hero for modern Jews as a man who was both pious and worldly, bridging the gaps between Torah and science, Jewish wisdom and secular philosophy. This entry was posted in Religious Leaders, Science & Technology, Writers & Thinkers and tagged Almohads, Amalric I, Arabic, Cordoba, Crusades, Egypt, Egyptian Jews, Fustat, Greek, Guide for the Perplexed, Holy Land, Indian Ocean, Maimonides, Medicine, Medieval, Morocco, Mysticism, Philosophers, Philosophy, Physician, Rabbi, Rambam, Saladin, Sephardic Jews, Spain, Spanish Jews, Temple Mount, Torah, Torah and Science on December 11, 2013 by Jew of the Week.